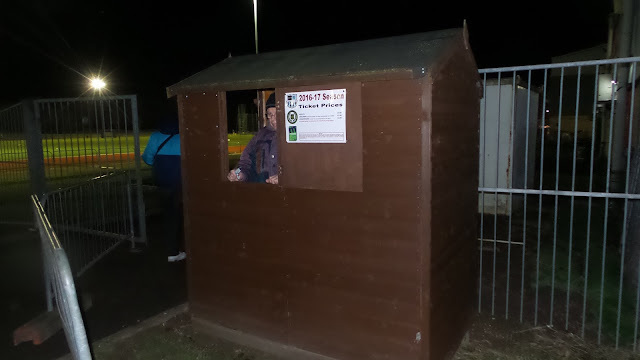 The club were founded in 1997 and started in the Hertford & District League. 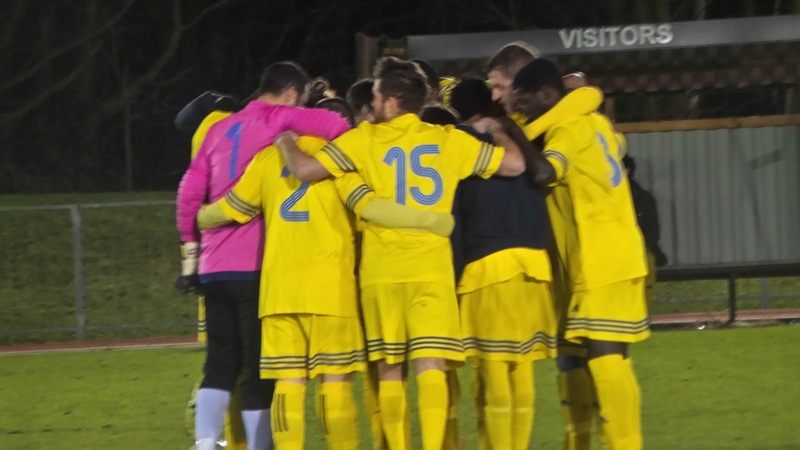 They rapidly progressed through its 4 divisions and joined the Herts Senior League Division 1 in 2006. 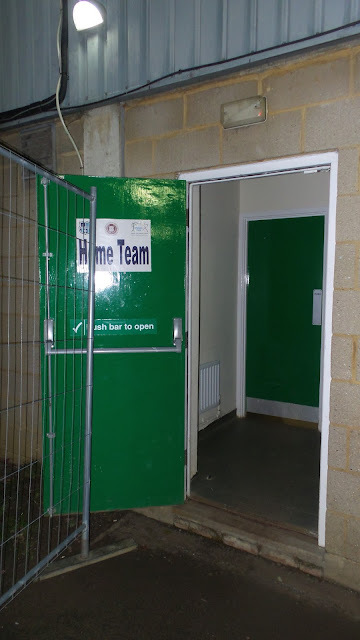 An initial 9th placed finish was followed up in 2007/08 when they were runners-up in its second tier, finishing behind Baldock Town. 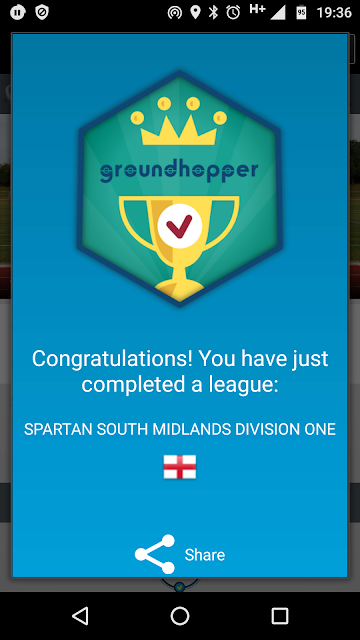 Instead of progressing to the Premier Division, they moved sideways to the Spartan South Midlands League Division 2. 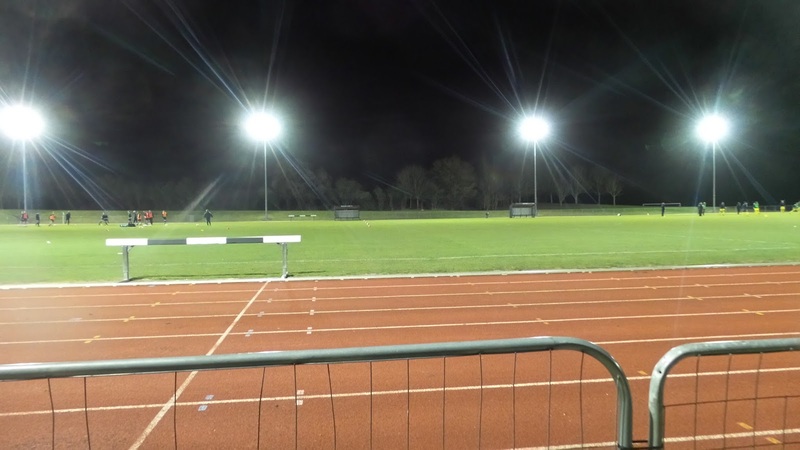 Two seasons were spent here, until a 4th place finish in 2010 saw them promoted to Division 1. They remain there this day and after initially finishing in the lower reaches of the table every season, last year saw a huge improvement as they finished in 6th place. This season has seen the good work continue, and they sit in 7th at the time of the game. Both of Wodson Park's outings in the FA Cup have ended in defeat in the Extra Preliminary Round - to Oxhey Jets in 2012 and Colney Heath in 2013. Their FA Vase debut season of 2010/11 saw a mini-run with them beating Feltham and Canning Town before a 1st Round defeat at Bracknell Town. 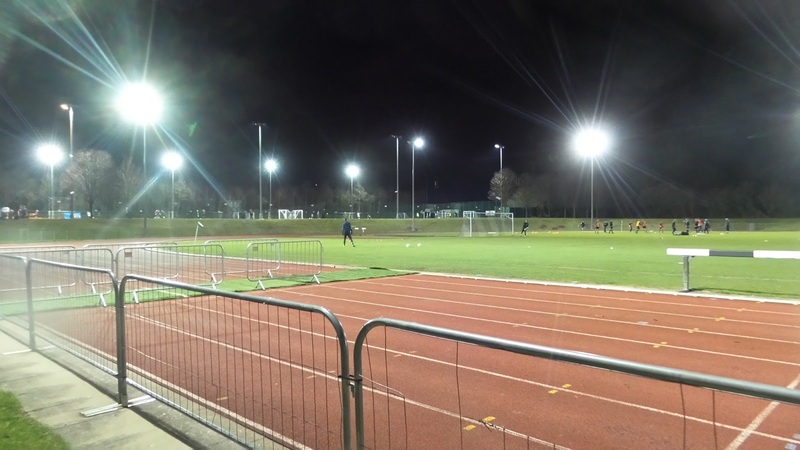 The club had a spell playing at the adjacent Ware FC ground before returning to their own home in 2013. After a rare Tuesday off for me due to highly limited options (there was just one potential game at Ashby Ivanhoe with no backups) fellow hopper Anwar and I were keen to do a game on another day of the week. 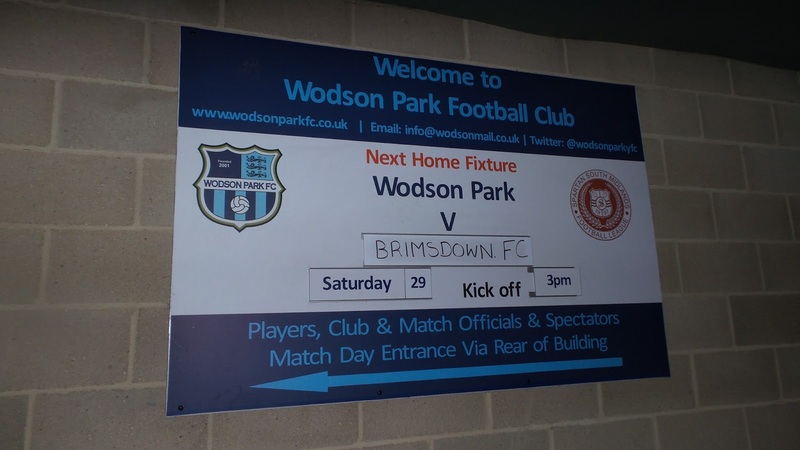 With Wodson Park the club I needed to complete Division 1 of the Spartan South Midlands League, we pencilled it in. There wasn't too much in the way of backups though, so we'd have to keep an eye on the weather to avoid a wasted journey. 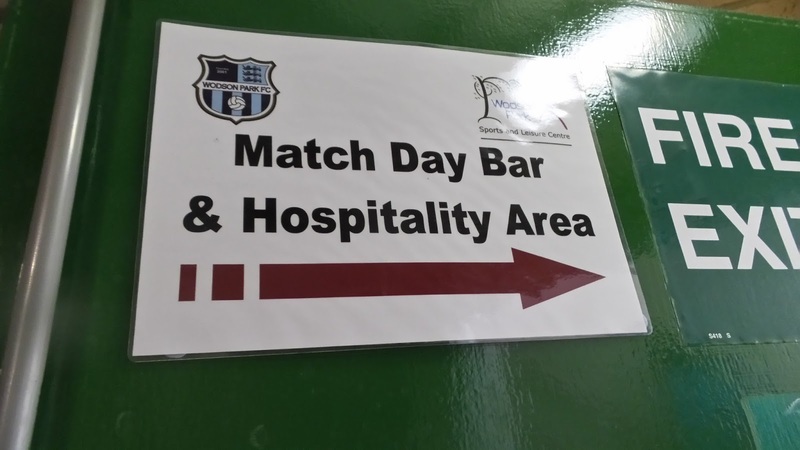 On the day of the game it was a busy day at work, unexpectedly so for a Wednesday. I came home and didn't have time for my planned afternoon nap. Instead, I caught up on fixing some broken picture links on my blog, which was pretty annoying to have to do, and there are still plenty more to fix. After a dinner of Jambalaya, I made myself a hot flask and left at 5.45. I met Anwar at 6.15 and after checking if there was any news of a postponement, we were on our way. We got to the ground an hour later, paying £5 to get in which included an excellent programme. This ground completed the Spartan South Midlands Division 1 for me, and is regarded by most as one of the worst grounds at step 6. Whilst this is true, I was glad to finally get it done, especially on a week when there was little else on. As it was cold, we went and sat in the bar. There, we met Splodge and a couple of others who had travelled up from the south coast. Wodson Park opened the scoring on 25 minutes when a decent through ball was played through to their number 9 who finished well past the keeper despite claims of offside by the visiting defence. At the start of the second half, the hosts almost doubled their lead when a pass back was played too short, but the keeper came out and made a great save. 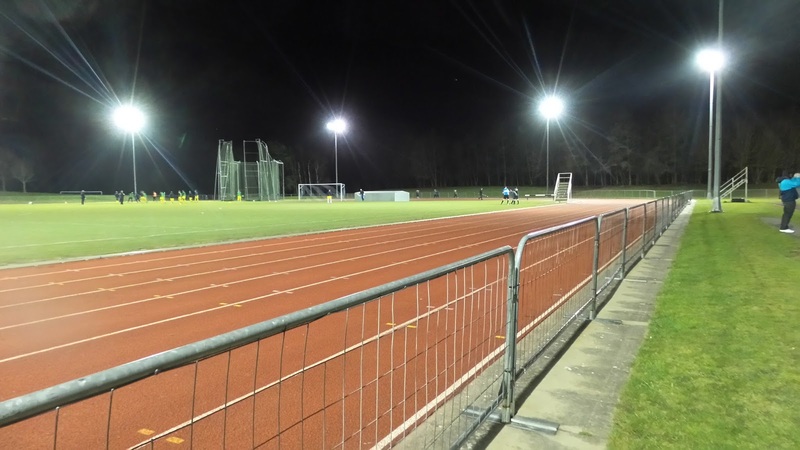 Despite their keeper making another good save shortly after, it was Broadfields United who got the next goal, getting the equaliser on the hour with a low finish from just inside the area. They went ahead on 75 minutes when a cross was headed home. 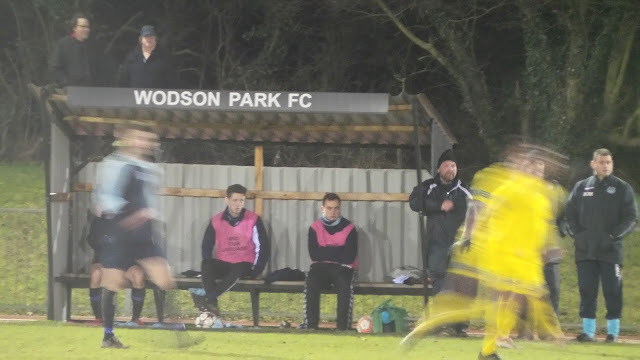 Once more their keeper was the hero, making some good saves to prevent an equaliser as Wodson Park also hit the bar. The visitors sealed the win a few minutes from time with probably the best goal of the night - a well-placed diagonal shot from the edge of the area. 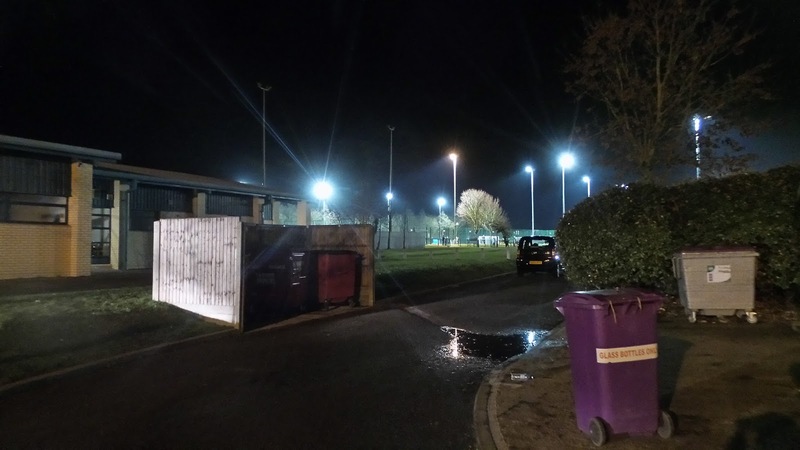 That was it as far as the scoring went, and although Broadfields United staged a mighty comeback, it wouldn't have been possible had it not been for some great saves by their goalkeeper. The match had been another decent one as ever in the Spartan South Midlands League, though it didn't really get going until the second half. 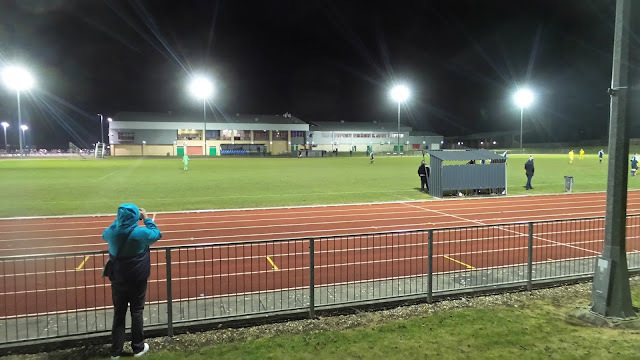 Though I've been to every ground in the top 2 divisions, there will no doubt be some revisits to some of the grounds that I've not been to for a while with Hillingdon Borough and Berkhamsted being near the top of the list. After saying our goodbyes, we were on our way and once more it was a hassle free journey. I dropped Anwar off at 10.30, getting home myself at 10.50. For once I didn't stay up for ages, watching Corrie and going to sleep around 11.30. 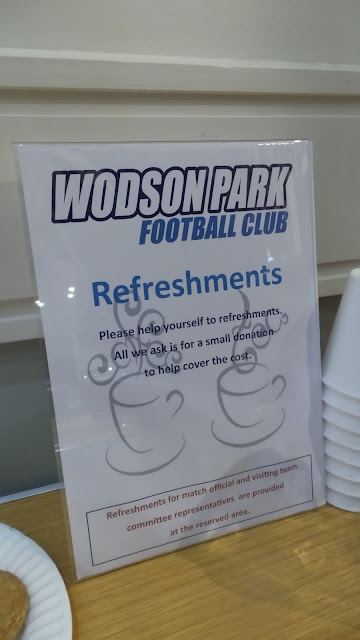 WODSON PARK SPORTS & LEISURE CENTRE is an athletics arena and therefore is totally unsuited to watching football. At least the club give you a friendly welcome and do their best to give you a reasonable view of the action. If you stand up against the fence at the edge of the track, the view is not too bad. 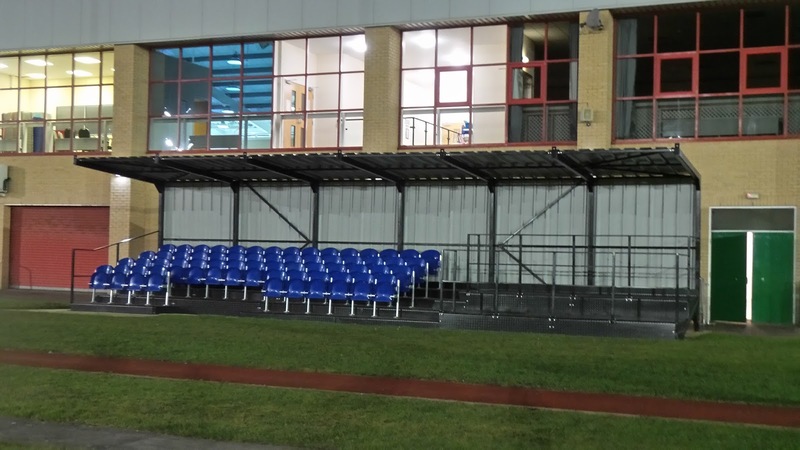 There is a stand, but it is set way back against the leisure centre building some 25 meters away so unless you are desperate then you won't use it and it's more to tick ground grading boxes. There's very little sign of personalisation apart from the club sign outside the stadium. 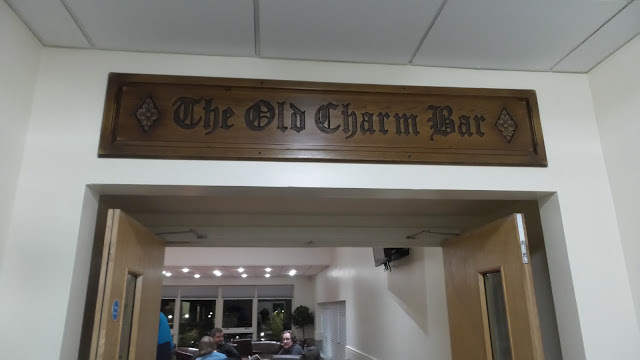 The bar at the ground is nice enough though drink choices are extremely limited. 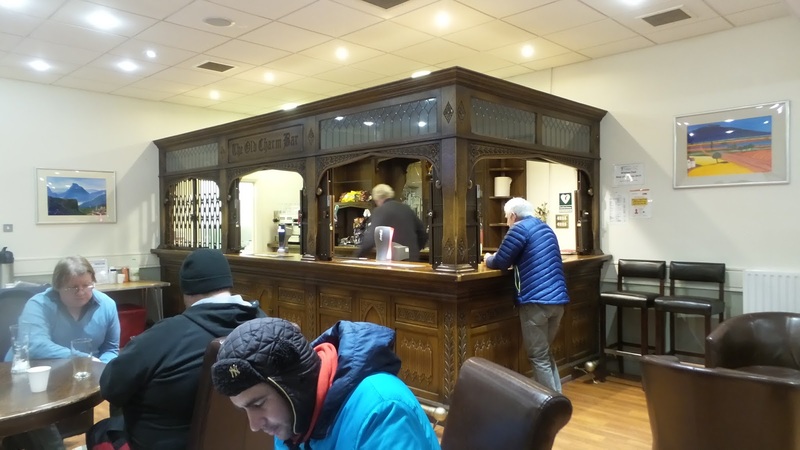 There's no hot food - just tea, coffee and biscuits available on a 'pour it yourself and make a donation' basis. One thing that the club excels on is the matchday programme. 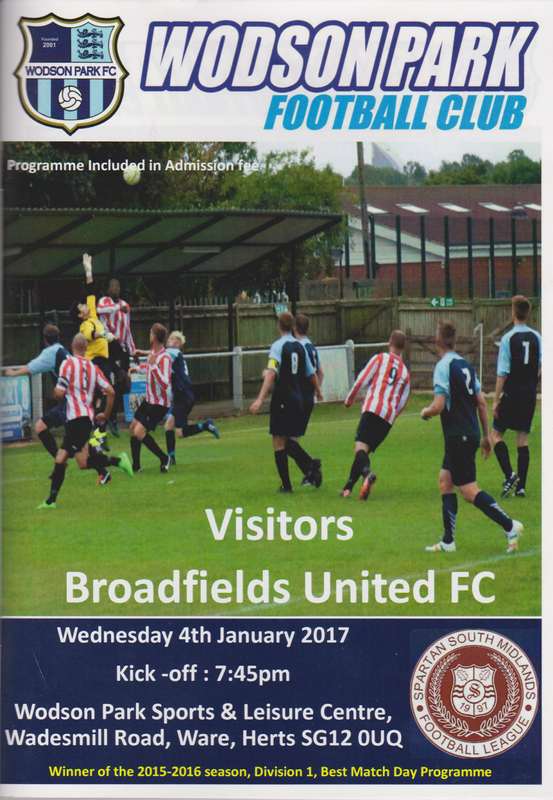 Included free with the £5 admission fee, it's the current holder of the 'Bst Matchday Programme in SSML D1' award. Deservedly so too, full colour and glossy throughout, the layout is well presented and there are plenty of facts to peruse over as well as a club history and various other bits and pieces.